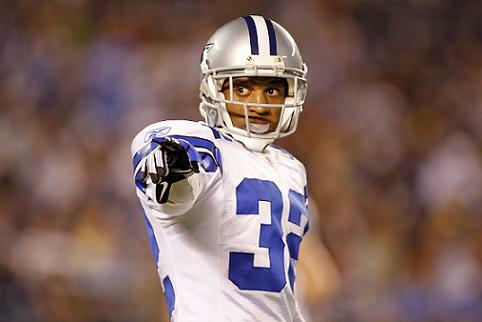 At only 24 years old, Orlando Scandrick is already a player of experience. He was drafted in the 2008 draft and immediately took hold of the slot cornerback position. Now it seems all the growing and work that Scandrick put in is paying off, literally. Scandrick signed a 5-year extension on his current deal that will essentially make it a 6-year, $26 million dollar deal with $10 million guaranteed. Now he will have to earn it. The knock on Scandrick has been that he is always in a position to make a play, he just never does. He has the most difficult defensive position on the field. Covering the slot receiver is like being on your own coverage island. You don’t often get help in man coverage, and the receiver has the whole field to work with. On the outside at least you have a sideline and often a safety not too far away. While Scandrick has played well so far this camp, catching the eye of both Dave Campo and Rob Ryan, he knows that he will have to rise to new expectations now. He will need to. This contract all but signals the last year for longtime starter Terrance Newman. It is likely that this will be his last season with the Cowboys. With the kind of money they have offered Scandrick, and fellow fourth year man, Mike Jenkins needing a new contract soon, the Cowboys won’t be able to hold onto all three next year. Cowboys fans have already had mixed feelings over Scandrick, this contract will only add more pressure and more eyes will be on him. He has the ability, now he just needs to put it all together.